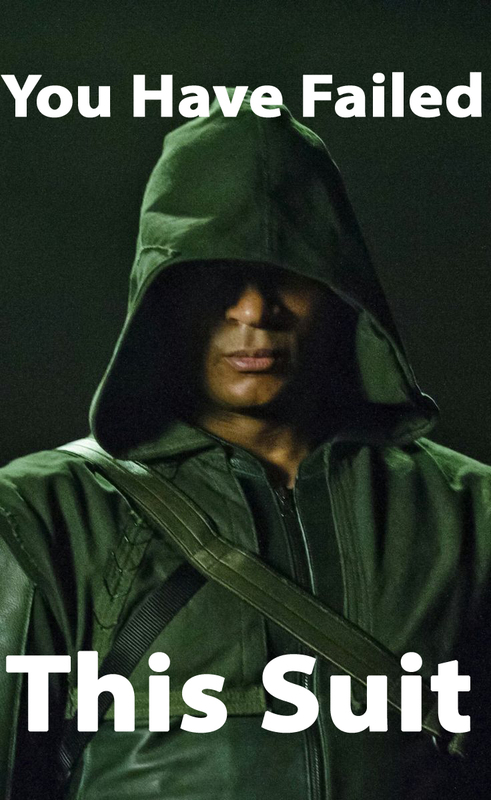 Could Team Arrow Survive Without The Green Arrow? With the third season of the CW’s hit show Arrow back in full swing after its midseason finale it is a good time to look into the future for some fun hypothetical questioning. With Oliver revived thanks to the hands of long time aquaintences Maseo and Tatsu it is pretty much guaranteed that we can expect to see The Arrow return to Starling City in the future brining to an end the reign of the Arrowless Arrow crew. However we here at My Media Digest thought it would be interesting to speculate how the team would survive with out the main protagonist Ollie. Both of our writes take sides and sound off. The team made up of Felicity, Diggle, Roy, And Laurel would still thrive with the absence of Oliver however it would be quite the adjustment period. Oliver, while also being the physical leader of the group, is also the emotional leader of the group. During tough times Ollie was always the one shouldering all of the pain, whether it was sacrificing his social life or taking responsibility for all of the death. The group would need to discover a new rock, or more likely multiple rocks. No one in the current group could handle everything Oliver did although I believe divided up they could all handle lesser roles. Roy has advanced lightyears in his training since joins Oliver on his quest and could hold as the tank of the group. I believe Laurel is finally numbed by all of the lose and heartache she has suffered and would be ale to offer the emotional strength needed. Diggle will still hold all of the field knowledge and hold the voice of reason whether acknowledged or not while Felicity does what she does best which is a little bit of everything to hold this team together. In all it would not be easy but I believe the current band of heroes could make it work. This rag tag team of vigilantes has barely survived two episodes without the Green Arrow and I am not sure how much more they could handle. Felicity is a wreck knowing Oliver is most likely dead and is teetering on the brink of quitting. Roy realizes they lack the skill set they once had with Oliver to make a difference. Diggle seems to have lost his motivational fire without his friend and partner at his side. Laurel I do not believe is strong enough emotionally or physically as we see her fall during one of her landings and freeze after witnessing a hostage being shot. The team has no foundation to build off of or turn to in times of struggle. Not to mention the lack of funds all of these non-multibillionaires have access too. The center Ollie created did not come cheap and I believe in due time the team would run into serious financial barriers. I am not Saying they could not survive as a team, I just am not confident in them surviving at the point they are at with the task they are faced. You Heard how our guys are feeling, let us know how you side in the comment section below. Also fans of Arrow may also like our Flash conversation. 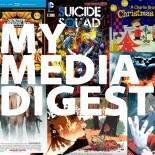 This entry was posted on February 4, 2015 by My Media Digest in Brad Lee, Comics, Denzel Freeman, Reviews, Television, Uncategorized and tagged arrow, arsenal, black canary, Brad, comic, cw, diggle, felicity, Lee, oliver, roy, Television, tv.